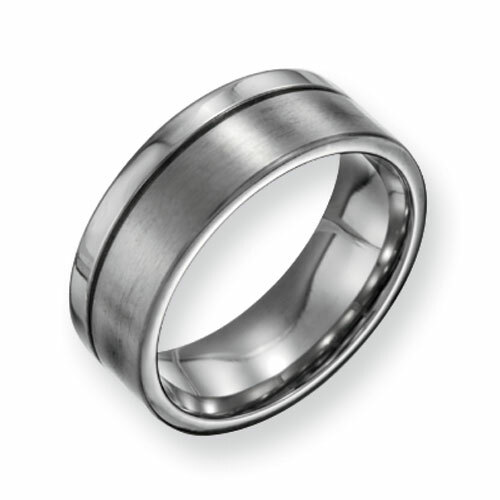 This titanium wedding band features a brushed flat center with one polished edge. Groove separates the two finishes. Width: 8mm. Import. Comfort fit. Available while supplies last.